(Bloomberg) — China’s benchmark Shanghai Composite Index is headed for bear market territory as concern over a slowing economy and trade tension with the U.S. shows no sign of abating. 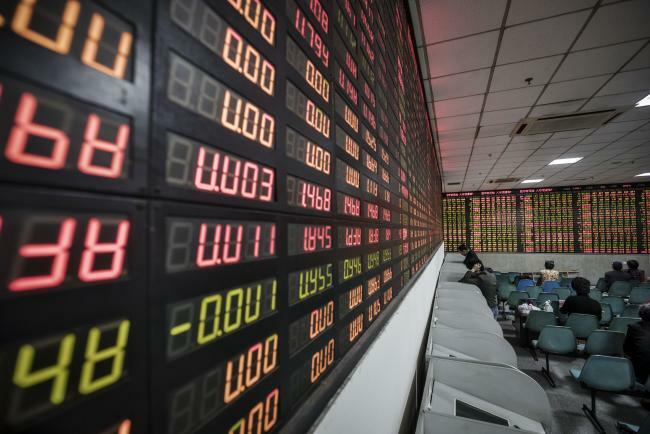 The Shanghai gauge fell 1.2 percent as of 9:34 a.m. local time Friday, taking its loss since its January peak to almost 20 percent. The index is at its lowest point since June 2016 and is one of the world’s worst performers this year. The descent toward a bear market has coincided with Beijing stepping up its deleveraging campaign. Losses accelerated this month after May economic data trailed economists’ forecasts and as the trade dispute with Washington became increasingly heated. Some $1.6 trillion has been wiped from Chinese stocks since Jan. 24. Morgan Stanley (NYSE:MS) expects the CSI 300 Index, which is down 19 percent since a January peak, to enter a bear market that could last a year, weighed by slowing momentum in China’s economy and liquidity tightness. If U.S. President Donald Trump goes through with a threat to put tariffs on another $200 billion of Chinese imports, it could cut as much as half a percentage point from the nation’s economic growth, according to economists. Chinese policy makers have tried to soothe investor concern. People’s Bank of China Governor Yi Gang pledged on June 19 to use monetary policy comprehensively to keep liquidity appropriate and stable, a view echoed in a subsequent cabinet meeting chaired by Premier Li Keqiang. At 2,847 points, the Shanghai gauge is trading below levels that previously were seen to trigger state support. The generally accepted definition of a bear market is a correction of 20 percent or more from the most recent peak.